How many truckers are there?It is an estimated over 3.3 million truck drivers in the U.S. Of that one in ten are independent, a majority of which are owner operators. Canada has in excess of 250,000 truck drivers. 82% operate 6 or fewer trucks. How much Revenue does the trucking industry produce?Total revenue estimates are 255.5 billion. For Hire or Common Carriers Trucking companies generated revenue estimated at 97.9 billion. More than air transportation by 18 billion. Private Fleets generated revenue estimated at 121 billion. What is the average operating ratio for trucking companies?Estimates are the operating ratio is 95.2. This means for every dollar in revenue the trucking company has a cost of 95.2 cents. Leaving them with a profit of 4.8 cents of every dollar. What does a driver make driving truck?The average estimates that a driver makes is 30.3 cents per mile. Average yearly income for a driver is 32,000/Year. The average owner operator makes slightly more. How much does the trucking industry pay to operate on our roads?Estimates of 21.4 billions dollars is produced annually and paid by the trucking industry. What are some accident statistics?Estimates of 41,000 to 45,000 traffic deaths occur every year within the U.S.. Walkers and bikers account for 15% of the total traffic deaths each year. Fewer than 9% of those deaths involve commercial vehicles. More than 80% of those accidents are the fault of the non-commercial driver. Of those death related accidents only 4% of trucks are fatigue related. Drinking related accounted for .06% of those accidents. happen?There are more than 200,000,000 licensed drivers in the United States. (As of 2003 we’re close to a yearly 7 million motor vehicle accidents, involving well over 3.5 million injuries). What are some percentage facts?Current records show that most American driver’s will have a near motor vehicle accident 1 to 3 times per month and will be in a collision of some type on the average of every 5 to 8 years plus these records also indicate that licensed teenagers are 22 more times likely to get a speeding ticket than those who are 65 years of age or older. with each other in St. Louis. Accident projections for 2025.By the year 2025 there will be 33 million people 70 years or older in America. This segment of the population will be growing 2.5 as fast as the total population. They will make up the largest percentage of the “turning left” and “rear end” accidents. Slowly but surely Senior Citizens have developed a higher accident ratio than teenagers. (This will, in time, seriously impact the typical Senior Citizen’s pocketbook). And also, by 2025, the total costs for motor vehicle accidents in the United States will exceed 450 billion dollars. The world’s most solitary tree is located at an oasis in the Tenere Desert in Central Africa. There’s not one other standing tree within 31 miles. In 1960, it was smashed into by a truck. How many accidents are alcohol related and what days do most accidents happen?Up-to-date statistics clearly reflect that 1 out of every 5 Americans are involved in an alcohol-related car crash at some time in their lives and the day in which motor vehicle accident injuries occur most often is Saturday. Sunday is second. What speed can an injury occur?Records prove that a motor vehicle accident of as little speed as 5 MPH can produce a “whiplash-type” injury. Can there be after effects from a accident and their effects?The symptoms arising from an injury sustained in a motor vehicle accident do not necessarily present themselves immediately following an accident. Medical research and clinical experience have accumulated enough information to demonstrate that the delay of an injury symptom is the norm. Studies have established that the delay of a symptom does not eliminate the possibility of severe injury. It’s been proven that individuals can continue to be symptomatic for many months (even years!) after a motor vehicle accident. In addition approximately 75% of them remain symptomatic for a minimum of 6 months after the accident. (And current up-to-date statistics reveal that between the first and second year after an accident has occurred over 20% of those injured actually have their symptoms worsen). How much fuel does the trucking industry consume? The trucking industry accounts for 12.8% of all the fuel purchased in the U.S. Compared to automobiles and light vehicles accounted for 63% of the fuel purchased. What is the average price per gallon of fuel? According to Statistics Canada the occupation of truck driver is the most frequently cited occupation of Canadian men. Over 227,000 Canadians are truck drivers making it one of the top occupations in the country. The trucking industry employs over 3% of the Manitoba labor force. cent of the Gross Domestic Product of the whole transportation sector. There were approximately 9,700 for-hire trucking firms in Canada in 2001. A number of strategic alliances, mergers and acquisitions of motor carriers took place during 2002. Mullen Transportation acquired Temor Oil Services (1974), the largest transporter of crude oil and provider of fluid hauling services to the heavy oil industry in the Lloydminster, Alberta, area. TransForce acquired several carriers: Canpar Transport, a non-expedited parcel-delivery company based in Mississauga; Japiro Transport, a small LTL and truckload carrier operating in Quebec; Tri-Line Expressways Ltd.'s logistics and freight brokerage business in Mississauga; and Retex Transport, a specialized explosives, petroleum products and propane carrier based in Quebec City. Contrans acquired the trucking assets of Tri-Line Expressways Ltd., the flatbed and general freight division of TCT Logistics, which entered receivership in January 2002. 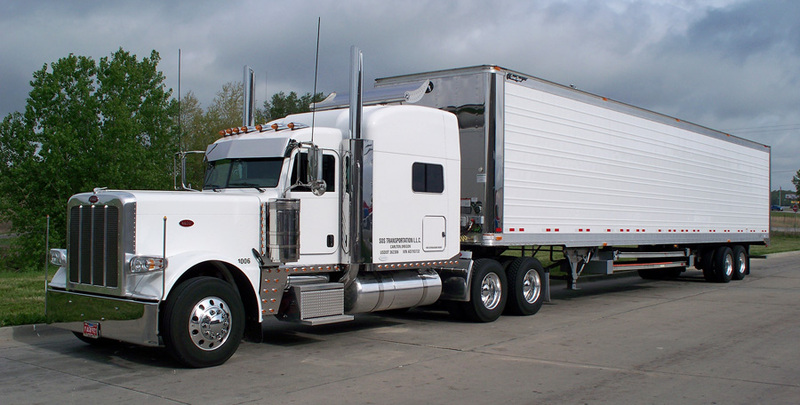 Owner-operators are small independent for-hire operators who own or lease their own truck and who haul trailers or other equipment for a carrier. Owner-operators work directly for a shipper and for either private or for-hire carriers, or both. The use of owner-operators allows trucking companies to expand or contract capacity as market conditions change. There were approximately 36,000 owner-operators in Canada in 2000. Couriers include for-hire operators providing overnight or later delivery and same-day messenger delivery. In 2001, the courier industry generated estimated total revenues of $5.0 billion on average volumes of 2.1 million packages per day. There are approximately 17,200 small courier companies that generate revenues less than $1 million per year. These small companies account for 97 per cent of the total number of courier companies yet account for only 14 per cent of total courier revenues. Trucking bankruptcies reported in any given year come from the for-hire segment of the industry. For the number of bankruptcies in the trucking industry from 1990 to 2002, broken down by region, see Table A7-2 in the Addendum. In 2002, there were 799 trucking bankruptcies, 14 per cent fewer than in 2001. This was the first decrease in the last four years. The most significant decrease in the reported number of bankruptcies in trucking was in Ontario (from 329 to 229) and in Quebec (from 159 to 131). The Atlantic Provinces had five fewer trucking bankruptcies in 2002 than in 2001. The Prairie Provinces and British Columbia (including the territories) had a small increase. 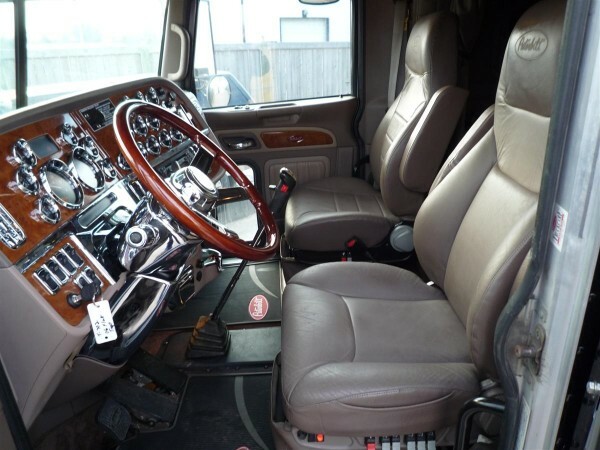 Private trucking consists of those companies who primarily haul their own freight but who may, from time to time, haul other people's goods for compensation. Most companies that own trucks to haul their own products do not ordinarily record revenues for this operation. So the estimate of $24.4 billion for private trucking is better viewed as the operating costs of trucks for these companies. Private trucking dominates in the urban and local haulage areas but its market share quickly diminishes as haul distances increase. General freight carriers generated 58 per cent of the total revenues of large for-hire trucking firms in 2001. The share of revenues of specialized freight carriers has been increasing in recent years. Table 7-1 shows the revenues of large for-hire trucking firms by market segment from 1999 to 2001. Total for-hire trucking revenues can be broken down by the relative size of carriers. Size canbe measured by four categories of annual revenues: $25 million or more, $12 to $25 million,$1 to $12 million, and less than $1 million. As Table 7-2 shows, this breakdown for 2000 and 2001 was relatively stable. Table A7-3 in the Addendum shows the relative size of carriersfrom 1991 to 2001. Class 8 trucks, used in intercity for-hire operations, have seen yearly fluctuations in reported sales that have been driven by a number of factors, including the profitability of carriers, thedemand for trucking services, the useful life of trucks, and carriers' fleet replacement policy/cycle. As Figure 7-1 shows, the 2001 and 2002 sales of Class 8 trucks reported reflectto some extent the economic slowdown of the U.S. economy and its impact on transbordertrucking demand. The Canadian bus industry can be divided into three principal sectors: transit, school and intercity/charter/tour. Intercity/charter/tour could perhaps best be defined as including all bus service that neither transports pupils nor offers transit or paratransit service. Traditionally, the main characteristic distinguishing intercity and charter operators from the other bus sectors has been the use of motor coaches (as opposed to school or transit buses). The school and intercity/charter/tour sectors are closely interrelated, and corporate ownership cuts across sectoral lines. Carriers in all sectors and of all sizes often offer a mix of services. Scheduled Intercity Bus Carriers — These carriers primarily operate scheduled services between two or more urban areas. Such services link all Canadian provinces and territories except Nunavut. Through its ownership of Greyhound, Grey Goose, Voyageur Colonial, Penetang-Midland Coach Lines and a few other smaller companies, Laidlaw is the largest scheduled intercity operator in Canada. Other major operators include Coach Canada, Orleans Express, SMT/Acadian Lines and Saskatchewan Transportation. Smaller regional operators include Ontario Northland, Les Autobus Maheux, Intercar, and DRL. Almost all scheduled intercity operators provide at least some charter service. Charter/Tour/Shuttle Carriers — Charter service is characterized by the rental of a bus to a person or group where all passengers embark and disembark at the same point. Tour carriers primarily provide sightseeing services over fixed routes and sell individual seats. Shuttle carriers are primarily involved in providing service to airports and rail terminals. Some of the larger charter/tour carriers include Brewster Transportation & Tours, Charter Bus Lines of British Columbia, International Stage Lines Inc., Pacific Western Transportation Ltd. and Coach Canada. A single carrier frequently offers both charter and shuttle services and it is not uncommon for carriers in this group to also provide school bus service. School Service — As the name implies, school bus carriers provide bus service to transport students to and from school. Most school bus operators also provide some charter service. Laidlaw is the largest school bus carrier in Canada. Urban Transit Service — All major cities in Canada have some form of public transit service, and in terms of revenues, urban transit represents the largest component of Canada's bus industry. Municipal and provincial governments subsidize urban transit services. Some urban transit operators offer school bus and charter services as well as services to travellers with disabilities. The Canadian bus industry is composed of approximately 1,000 operators who collectively move more than 1.5 billion passengers each year. In 2000, the industry generated more than $6.2 billion in total revenues, including subsidies. In 2001, only a partial view of the industry was known, as results of a new survey on passenger bus and urban transit introduced by Statistics Canada in 2002 were still pending. The bus industry can be looked at by type of establishment (i.e. principal company activity) and by the type of bus service provided. Urban transit represented the largest sector, accounting for 68 per cent of total bus revenues in 2000 (including subsidies), or 50 per cent of total bus revenues (excluding subsidies). In 2001, urban transit revenues totalled $4.4 billion, up 3.3 per cent from 2000. Subsidies were the main source of revenues, with 53 per cent of total urban transit revenues.